Incarcerated populations: “This is just a group that’s lost." Susan Corbridge, PhD ’09, APRN, FAANP, FAAN, is associate dean for practice and community partnerships. “Ninety-five percent of people who are incarcerated will eventually be released back to the community," she says. "They have limited access to healthcare within that first year of release. They use the ER a lot. They also have a higher mortality rate during that time. “This is just a group that’s lost." These truths—paired with the fact that health equity is among our core values—are what inspire our college's deepening commitment to positively affecting the health of men and women in prison. At present, UIC Nursing has formal relationships with multiple corrections departments. 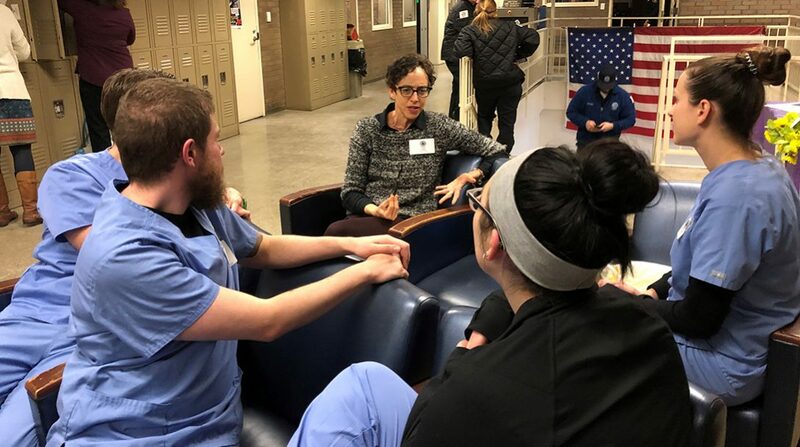 Working with the Cook County Department of Corrections, under the leadership of Sheriff Tom Dart, UIC Nursing developed a community health practicum for graduate nursing students. 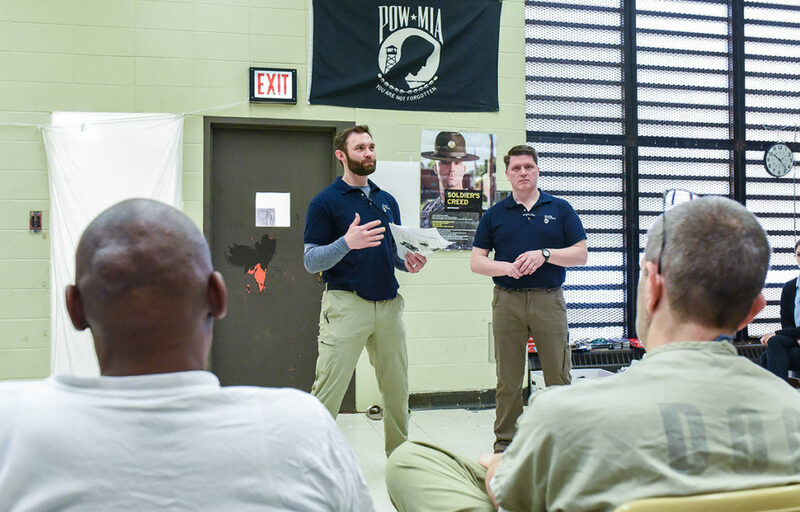 For two years, students have been delivering weekly health education sessions to detainees. Also, college students and staff meet individuals who are on early release from the jail at a Cook County outreach center, sharing health information and helping them navigate to primary and mental healthcare at our college’s Mile Square Health Center in Humboldt Park. 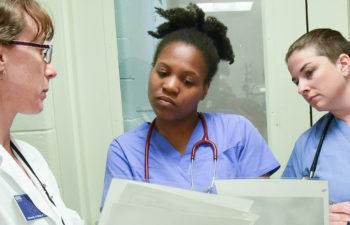 The success of these initiatives earned the college a Hillman Foundation grant to support the work and also to create a CEU-eligible, web-based module focused on healthcare delivery and health issues pertinent to a correctional facility and population. 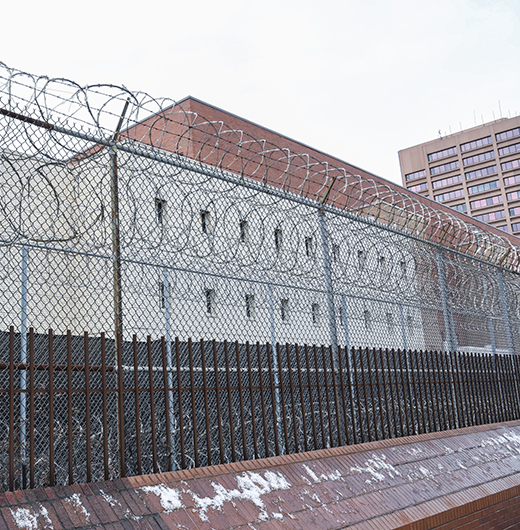 Our partnership with the University of Illinois at Chicago College of Nursing has strengthened our ability to deliver meaningful and informative programming for detainees at the Cook County Jail. 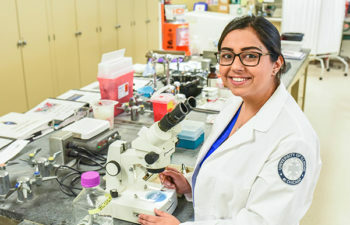 In one partnership with the Illinois Department of Corrections, our college has become a key to providing better continuity of healthcare for the recently incarcerated. 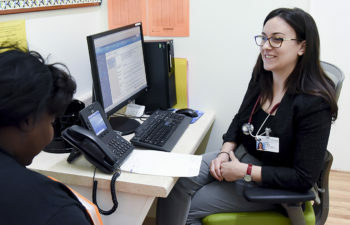 IDOC detainees who are released into two transition centers are now scheduled for appointments at the College of Nursing’s UI Health Mile Square Health Center clinic in Humboldt Park, thus establishing UIC as the medical home for this vulnerable population. 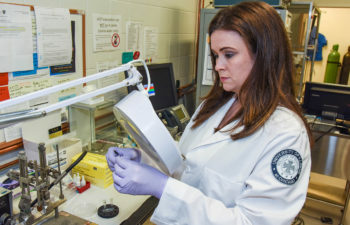 Collaborations with the Illinois Department of Corrections have sent our students and faculty into Decatur Correctional Center for women, providing education for a unique “mothers and babies” program. We’re coordinating medical care for male residents of a IDOC adult transition centers in Chicago. And we’re providing a systemwide analysis and restructuring of IDOC’S Quality Improvement/Patient Safety program. The [UIC] College of Nursing has worked tirelessly to improve healthcare outcomes for some of the most medically challenged people under our care. 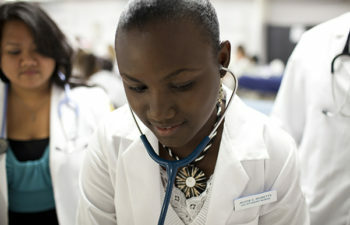 Students and faculty have consistently demonstrated care and compassion, as well the highest levels of nursing practice. We look forward to expanding our partnership with UIC into new and exciting areas of corrections healthcare. Through weekly visits, graduate-entry master’s and DNP students are teaching young people at Chicago’s Juvenile Detention Center about sensitive health topics. In addition, a number of doctor of nursing practice students have conducted their DNP projects at JTDC. 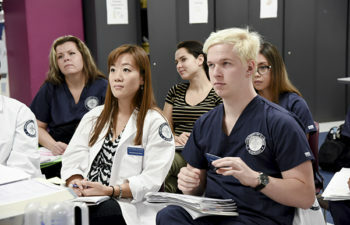 With the help of a grant from the Rita and Alex Hillman Foundation, correctional health experts in the UIC College of Nursing have produced “Introduction to corrections for those in health care.” The three-module training will allow practitioners to deepen their knowledge and understanding of topics pertinent to health education, services and advocacy within the correctional system. Nurses can earn one (1) CNE credit per module at no cost through July 2020.